From past few days, Treyarch has been showing snippets of new locations in Blackout and Multiplayer mode. 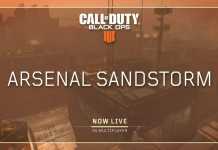 Now, they are back again with a teaser of another new Call Of Duty Black Ops 4 multiplayer map. Treyarch released a short video of a new map with the glimpse of sounds and limelight of a Casino. Previous leaks indicated two new maps to take place at Casino and Station. With today’s and yesterday’s teaser, both leaks hold true. Treyarch is going to release a swarm of contents for all modes including multiplayer, zombies and blackout in February 19th update. 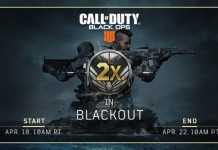 As they have released the details of both Multiplayer and Blackout mode, next information will be related to Zombies mode so stay tuned.